Do you Love French Linen? Wonderful French Linen products from the south of France. 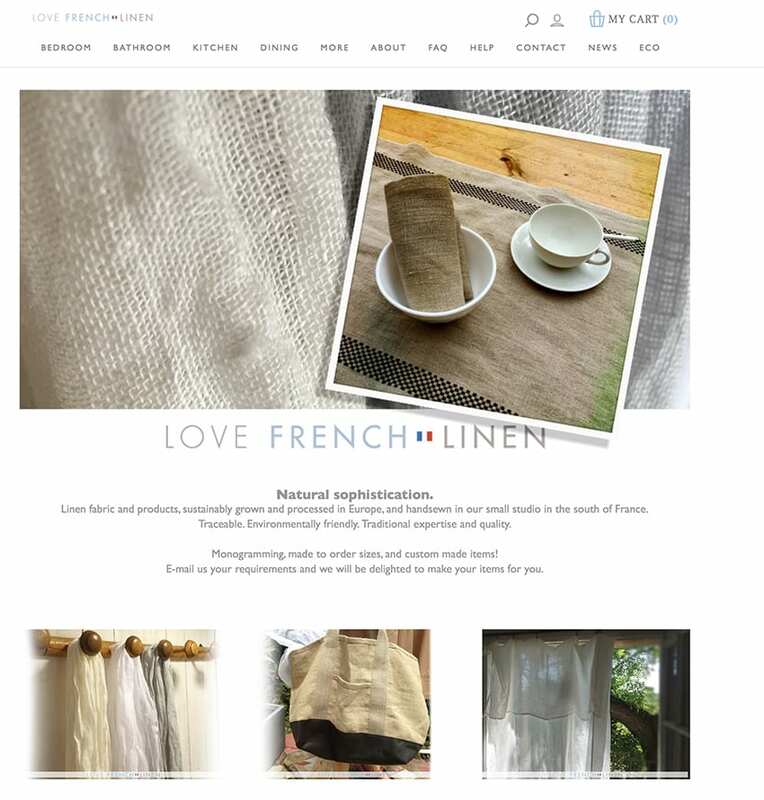 If you love sustainable und eco friendly high-quality french linen then I can only recommend that you visit the site which went live a few days ago, and recommend it to your friends. There is also a Facebook page you can like and a blog also published by Sheryl with news about Linen but also France and other bio and eco related posts. Linen fabric and products, sustainably grown and processed in Europe, and handsewn in our small studio in the south of France. Traceable. Environmentally friendly. Traditional expertise and quality. Monogramming, made to order sizes, and custom made items! E-mail us your requirements and we will be delighted to make your items for you. There are products for the bedroom ranging from linen pillow slips, linen duvet covers and sheets, for the bathroom you have honeycomb linen bath towels and makeup and laundry bags, in the kitchen you have towels, aprons, pinafores for adults and children, wine and bread carriers and bags, for the dining room you can find lovely linen napkins, tablecloths and table runners and place mats. Monogramming is available and many of the items are available in a wide variety of colors. See the color and fabric chart below.